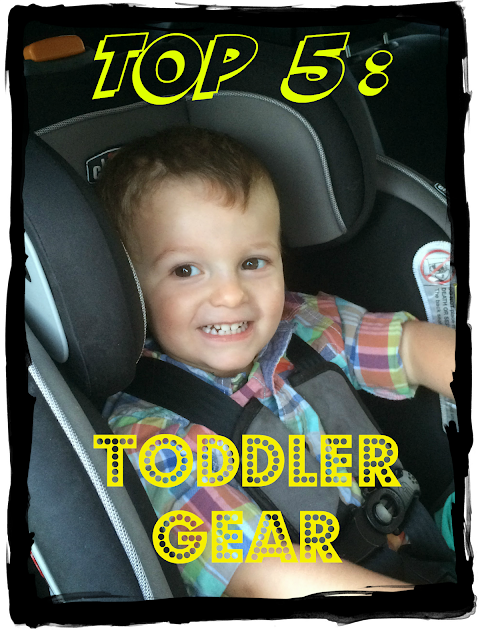 Here are (in my opinion) a few things that make our lives a little bit easier with a toddler running around. Check it out! Everett has always been a pretty good sleeper in the grand scheme of things. However, like most kids, he goes through phases. 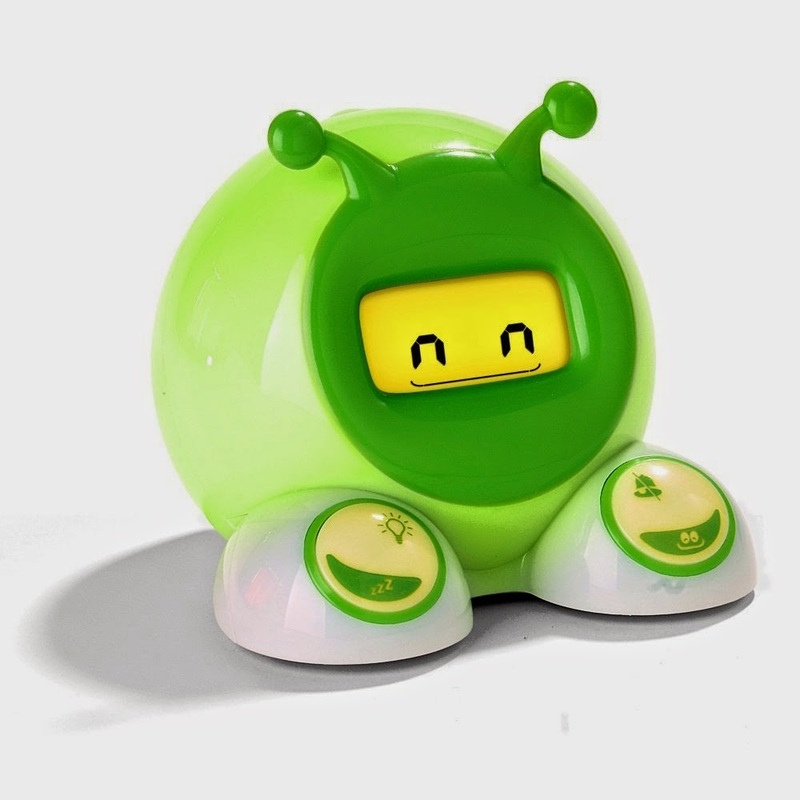 We purchased this alarm clock when he was going through his "I want to get up at 5:15 am every morning" phase. This clock is battery operated and has proven to be a pretty good purchase. Some mornings he will still wake up before his alarm (green light turning on, no sound), but knows that until it goes off it's not time to get up. The green light only stays on for an additional 10 minutes and then goes off again. There may be a way to change this setting, but I haven't looked into it yet. Most days he's not sleeping through it! Once Everett transitioned into his toddler bed we were pretty stoked to say hasta la vista to the Pack N Play when traveling. 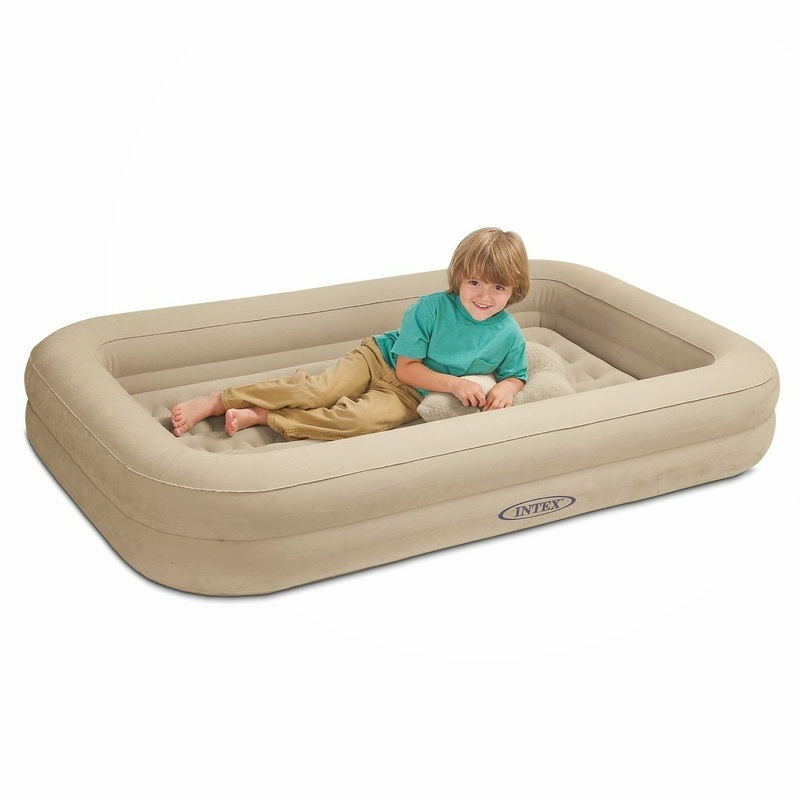 Mike ordered this blow up bed (below) and we fell in love with the price. It was less that $20 and has proven to be a great purchase. E has done well with it and only fallen off a few times (see pros/cons below). It did come with an inflatable pillow, however we have yet to really use that. Not having a lip on the side to help keep E on the bed was a little challenging at first- he fell off a few times while visiting Grandma in Wisconsin, so we just had to make a barrier on the open side. We have used these blankets in every single stage of Everett's life so far. 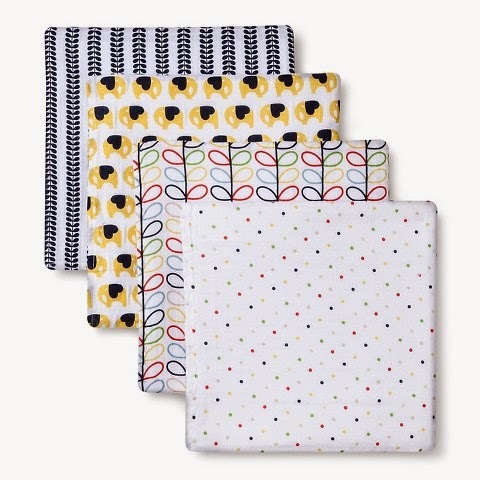 We used them for stroller/carseat blankets, swaddles when he was a tiny baby, burp cloths in a pinch, comfort items in bed now and I have even used them as a scarf when all of my others were packed away (true story!). They are so lightweight which is perfect for all kinds of Florida weather and the graphics are modern, yet sweet, yet kid friendly. I have nothing but pros for this company. We also love all of their other products as well including bibs, burp cloths, changing pad covers, sheets and sleep sacks. These (shown above) are by Orla Kiely via Target found in some stores and online here! One of the best things we did was to invest in some monogrammed items for Everett. The items from both L.L. Bean and Land's End have been both well made and durable (with the hopes of lasting for years and years). We opted for just an E on his backpack instead of his whole name. It kind of freaks me out to think that a stranger could just read his name, call it out and get his attention. 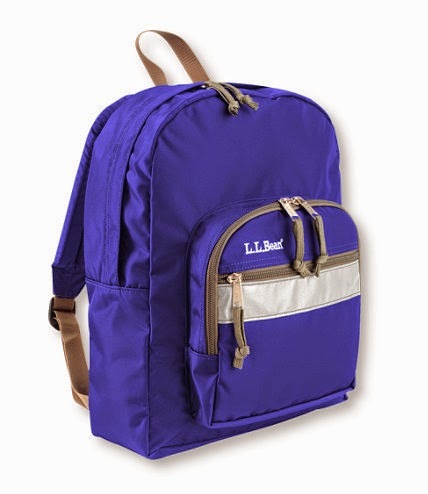 I'm don't usually have that morbid mindset, but for some reason I did when ordering the backpack. Anywho, we have been very pleased and love it for everyday use to and from daycare. We also have a second one that was given to us that we actually use as our diaper bag. 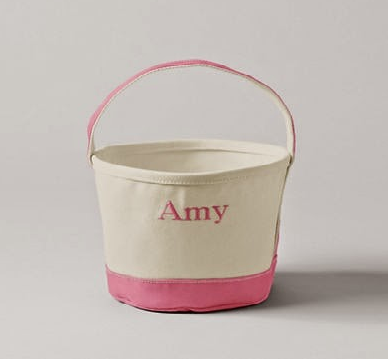 The first time I saw these monogrammed baskets from Land's End, I haaad to order one. It has been perfect to use to fill as an Easter basket and went through many Easter egg hunts this year. He also used it for Trick or Treating which was perfect. While not in use as an Easter basket it holds Everett's favorite books in his bedroom. It stays out year round and looks adorable. 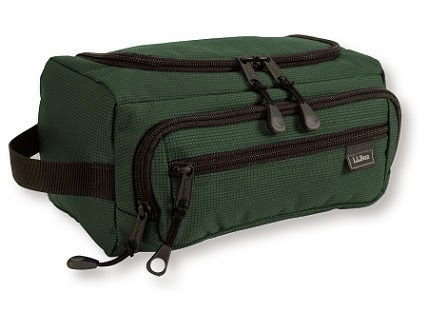 The last monogrammed purchase we made was a toiletry case from L.L. Bean. The "baby" toiletry cases that come with the nail files and clippers are just.too.small. We use this for all of his necessities every time we travel and I can bet that it will last him until he goes to college. I would highly recommend this purchase! 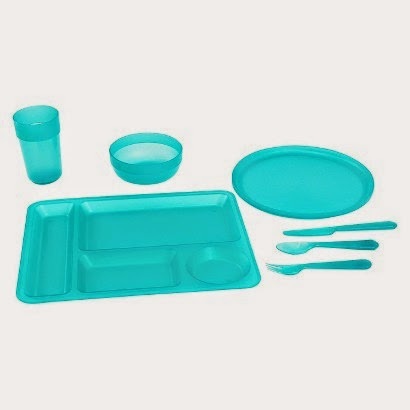 I can't say enough great things about the Circo Toddler/Kids dinnerware at Target. It is located in the plastic/melamine area near the reusable water bottles (at least to my Target they are). I stumbled upon them when I was looking for a new place mat and bought just a few pieces to start out. Luckily they are sold separately and range from $0.74-$1.20 per piece. 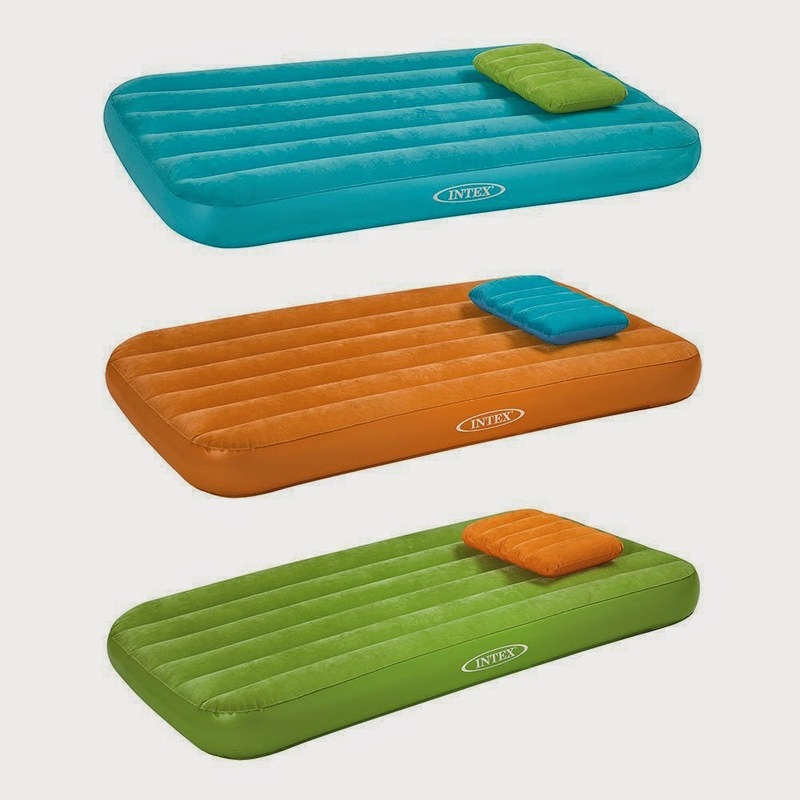 They are sturdy, colorful and the perfect size for little hands. Check them out today!!! I LOVE these squeeze pouches for travel...and just plain convenience. Everett lived on them when we were driving 20 hours (both ways) over Spring Break. 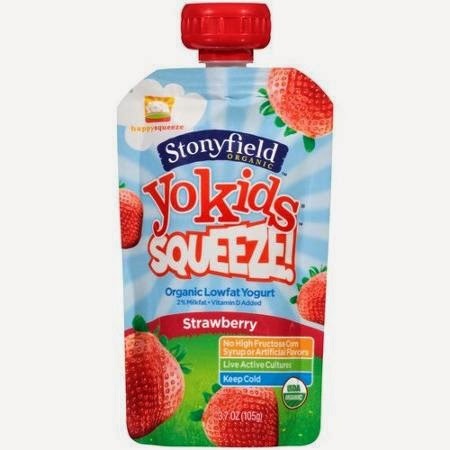 I have been buying the applesauce/fruit and veggie squeezers for a while, but I just recently found the squeezable yogurt pouches at Target. LOVE!!! No spoons, no mess. Perfect-o. 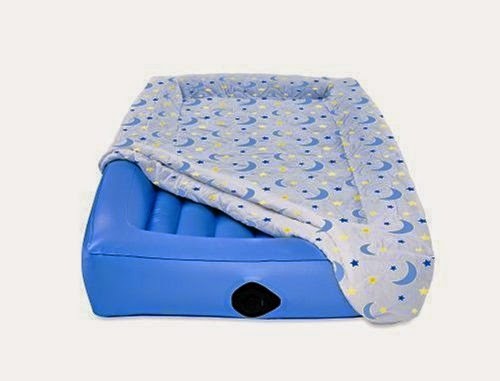 I saw a picture one time on Pinterest (of course) of putting a pool noodle underneath a fitted sheet when transitioning to a toddler bed from a crib. Instead of spending beaucoup bucks on a bed rail (which doesn't look very appealing anyway), I thought we would try it. 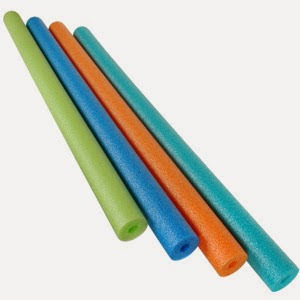 Heck, even if it didn't work we could use it in the pool over the summer and we would only be out about $2. Well, the good news is that is has worked GREAT! 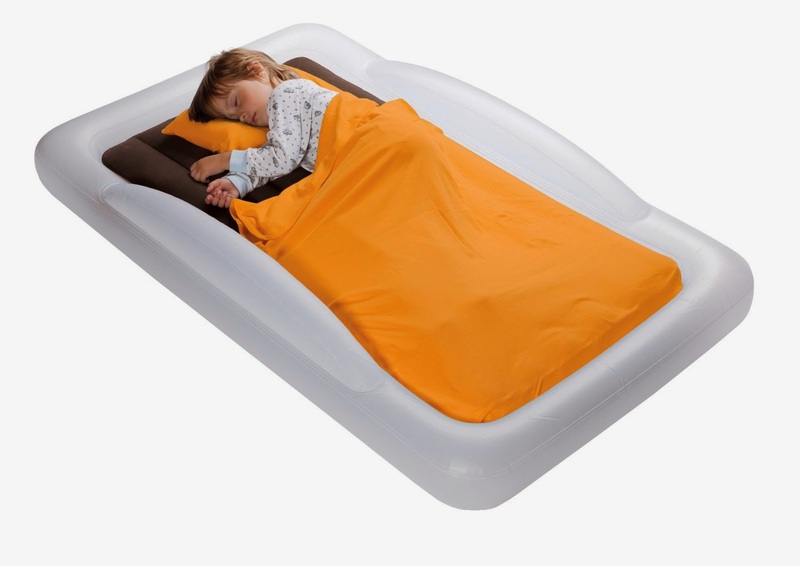 It creates just a small lip on the edge of the bed which seems to be just enough to keep our little one put throughout the night. Score!